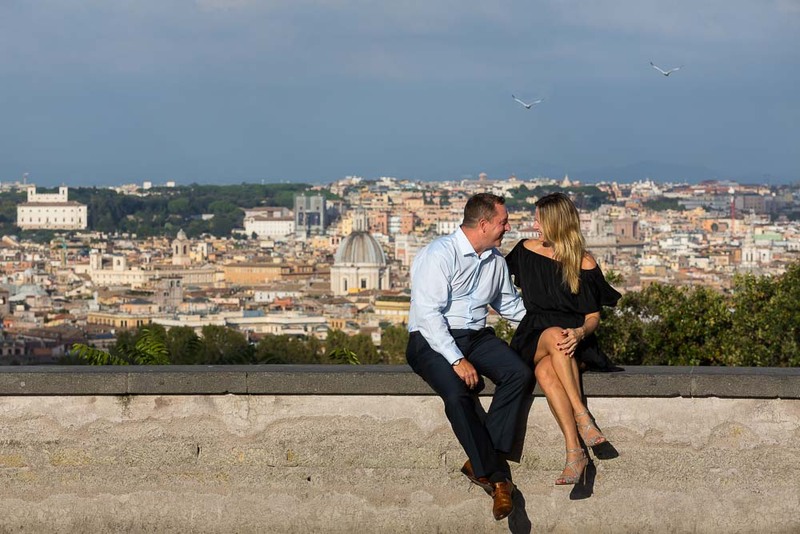 A stunningly beautiful day this was to celebrate this wedding engagement session in Rome. So we started with a car pick up at the foot of the Spanish steps and headed straight for the Vatican city. Shooting some nice snapshots in Saint Peter’s square. The light was just great for picture taking staring by the water fountain and continuing on under the Cathedral and in between the massive columns which recreate such interesting geometrical effects. Then we headed over to the Gianiculum hill to get a view of the roman rooftops from above. Some really romantic photos came out here. 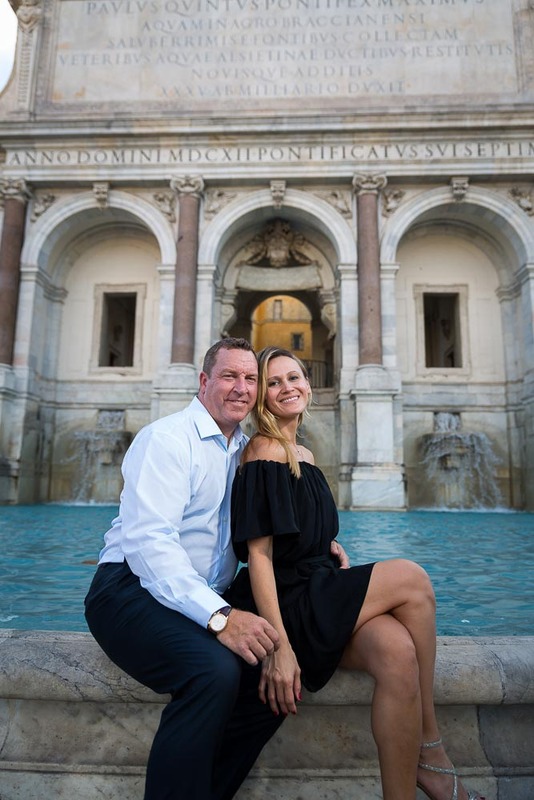 Then we drove over to the Fontanone water fountain and down again towards the Roman Colosseum where the photography session ended in splendor! Sunset e-session overlooking the city from above. A beautifully sunny day to shine light on this romantic roman love story!